We make the case for fashion's love-hate shoe style. The rise of the flat shoe as a statement style staple has grown over the years. Every season a head-turner heel-less pair, be it from Chanel, Valentino, or Gucci, makes a case for the idea that comfort can be stylish and utterly chic—and, we dare say, be worn even on a night out. Here are five fashionable pairs that prove that you don't need to wear heels to be a full-fledged fashionphile/trendsetter. Opt for a metallic pair that compensates for the lack of height with a beautiful gilded sheen. This Vivienne Westwood rose gold stepper is the season's shimmery shoe du jour. 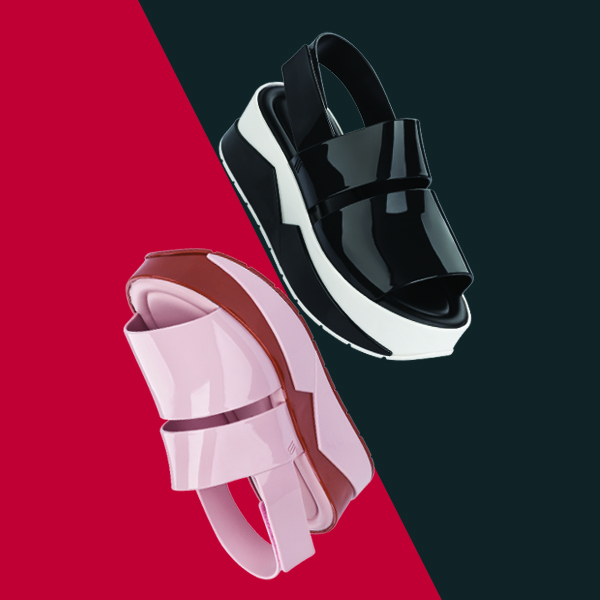 Be the life of the party in this structural sporty flatform that is everything fun and never boring. Pair it with your favorite LBD or flared jeans on rotation to be the queen of the dancefloor. Still considered a flat (since it's simply an elevated flat sandal), choose a pair that plays with prints, patterns, or in this case texture, to keep things interesting and modern. Worn with your favorite midi day dress, this platform stepper can take your look from office to date night without you needing a change. The slide has turned into a closet staple. This pair is dainty with its slim thong design and delicate ribbon, that you wouldn't mind taking out of te house and straight to luxurious weekend getaway. Your "everyday pair" need not be plain nor uninteresting. This boho sandal is just the style to add a pop of personality to any outfit—be it whether you're simply in a shirt and a pair of jeans. 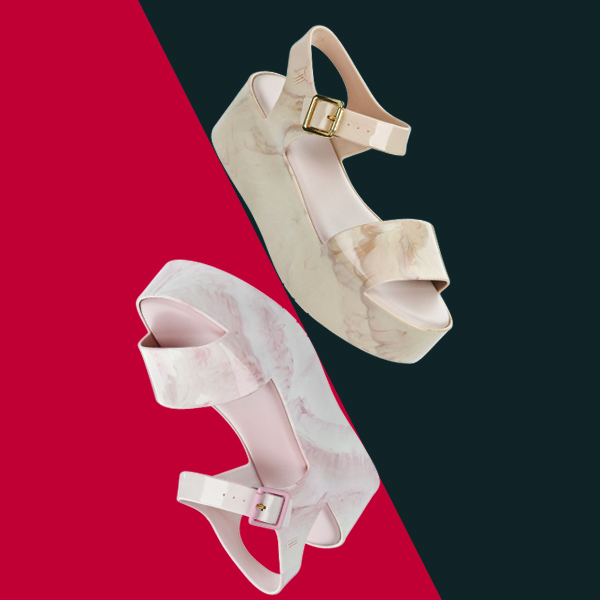 These pairs will be available in all Melissa stores by January 2017. Those in need to place immediate orders may contact Melissa here. MELISSA is available at Greenbelt 5, Glorietta 3, Shangri-La Plaza, Trinoma, SM Megamall, Robinsons Magnolia, UP Town Center, Alabang Town Center, Mall of Asia and is available at The Flat Shop (Glorietta 3, Connecticut Arcade, and Eastwood).